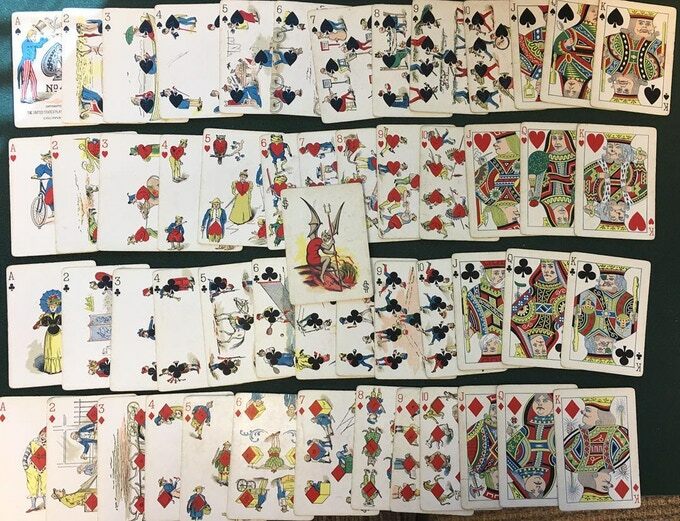 While we are faced with an explosion of new designs of all kinds, it is always enriching to learn a little more about the origin of playing cards through reproductions of old decks that have marked an era. Besides working tirelessly to spread designs from illustrators around the world through his own production, Will Roya has also committed to the playing card history. After the Bicycle Faro edition based on the designs of a s.XIX deck, he now offers us a new campaign with two more decks: VANITY & FARO. 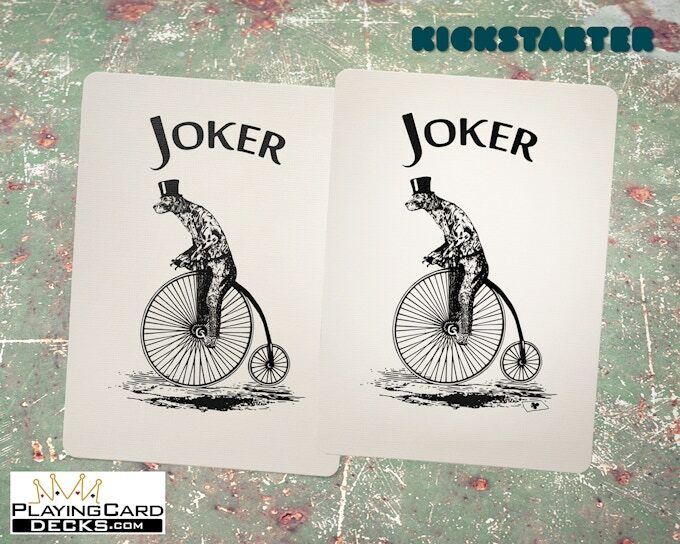 In this campaign Will reissues two very popular decks created at the end of the 19th century. 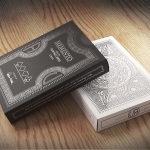 The Vanity deck is inspired by the famous “Vanity Fair” created in 1895, one of the most popular transformation deck with an unmistakable scheme and color. The Faro deck was first printed by Russel & Morgan in 1887 and it is a deck more oriented to the card game. 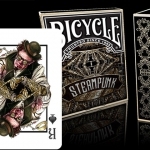 Both decks have been remastered from the original designs with digital painting techniques in another collaboration between PlayingCardDescks.com and Azured OX. Despite being reproductions of the originals, all decks share a set of features that include the traditional cut, smooth finish and rounded corners. Two different back colors have been chosen for each deck. Green and red for Vanity and blue and red for Faro. 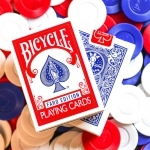 All decks will be printed by the USPCC in a limited and one time edition. 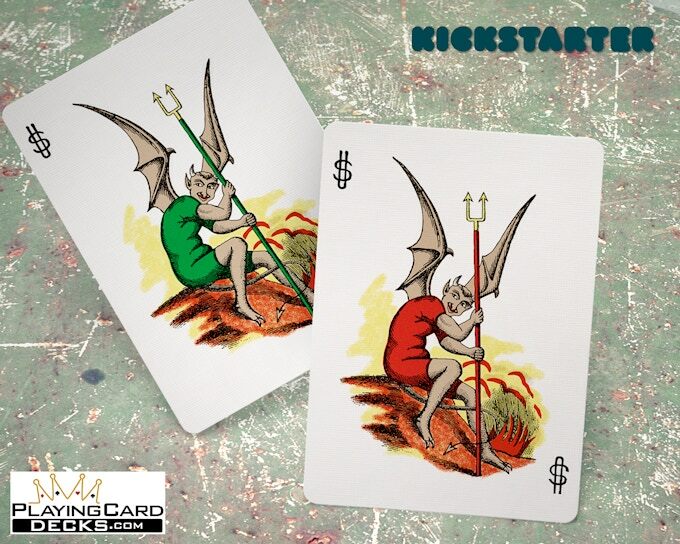 Some surprises await us during the campaign that include some prototypes of the Faro deck in specific backing tiers as well as the possibility of getting an original copy of the Vanity Fair deck that will be raffled among all the backers. 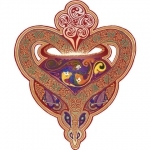 The prices are really affordable, especially the first days of the campaign, and custom seals and even gilded editions will be unlocked as stretch goals. 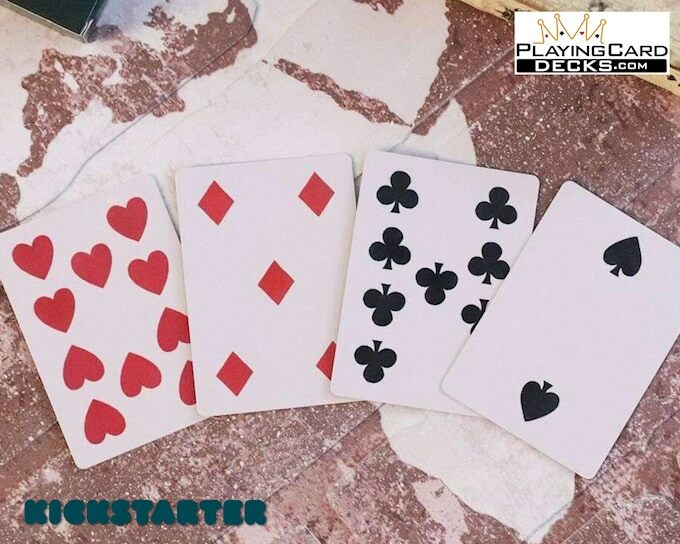 If you want to get a small piece of the old playing card history, visit the project website and raise your pledge.